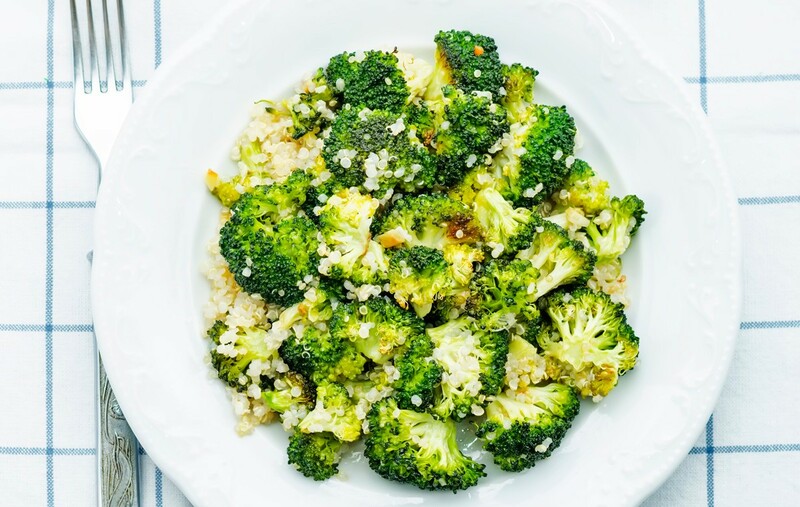 Vegetables just taste better roasted and broccoli is no exception. The thing is, this recipe goes beyond roasted broccoli. In addition to the green florets, you have quinoa, one of the healthiest carbohydrates out there, roasted garlic, and feta cheese! By roasting the garlic, it caramelizes and gets wonderfully buttery. The deep, rich flavor makes one amazing dressing with mouthwatering aromatics and the soft bites of feta complete this restaurant quality salad. Place broccoli florets onto the baking sheet and drizzle with oil. Toss to coat with oil. Spread in an even layer and sprinkle with salt and black pepper. Wrap the garlic cloves in a piece of foil. Place onto the baking sheet alongside the broccoli. Roast in the oven for 15-20 minutes or until tender and brown. Bring the vegetable broth to a boil over medium-high heat. Pour in the quinoa and sprinkle with some salt and black pepper. Stir to distribute the seasonings. Cook for 12-15 minutes or until all the liquid is absorbed. Remove from the heat, fluff with a fork and set aside to cool. Remove the garlic from the peel and mash with a fork. Combine with the lemon juice and some olive oil. Whisk to make a roasted garlic dressing. 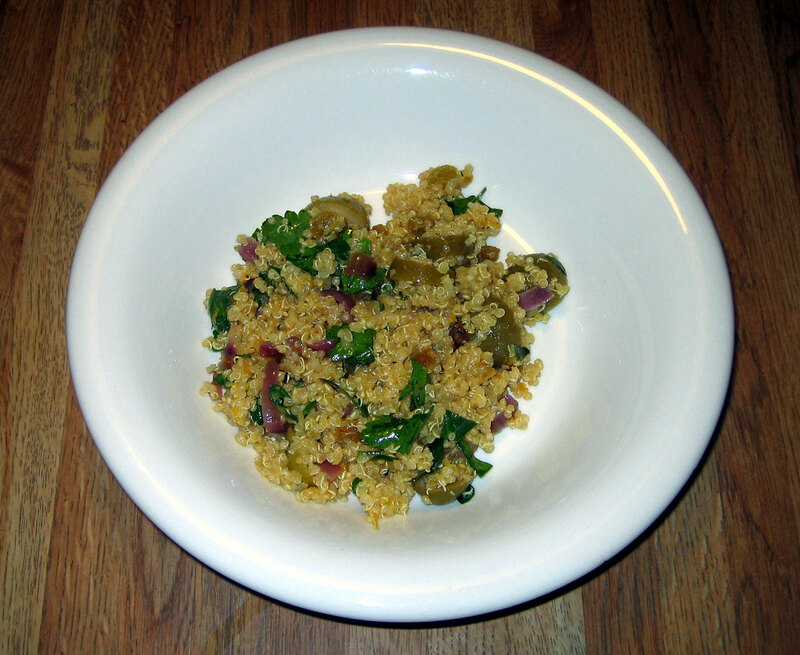 Add the cooled quinoa to a salad bowl with the salad dressing. Toss to coat with the dressing. Add the roasted broccoli.